The Chicago Diamond and Jewelry Exchange (CHIDEXX) is a diamond brokerage house whose main objective is to offer the educated consumer the diamond of their choosing for true cost, and with very low brokerage fees. By working with our network of diamond site holders, manufacturers and distributors, we are able to meet this expectation by carrying absolutely no inventory. Brokerage Fees start very low at $350. Online commerce has sparked a brand new wave of internet retailers, and the diamond industry is no different. 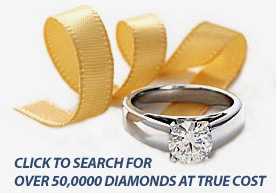 Before you buy a diamond, you need to be aware of internet myths. 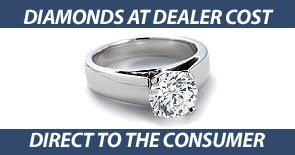 CHIDEXX encourages it customers to shop for their diamond options, educate themselves, and then call The Chicago Diamond and Jewelry Exchange. After you have looked, we acquire the diamond of your choice, or a match if the choice isn't available. We will then invite you to our brokerage office to execute your purchase for you. Diamonds can be viewed and purchased in our office Monday thru Saturday 9:00-6:00 by appointment only at one of our locations. Of course, CHIDEXX also provides a full line of semi-mount gold, diamond and platinum settings as well as custom design services for your diamond. Rest easy brokering from the Chicago Diamond Exchange. CHIDEXX guarantee's that our diamonds will match its accompanied certificate, and in most cases offers an unlimited 10 day money back guarantee on all of its loose diamonds. We accept Cashiers checks, Money Orders, Pay Pal, Visa, Mastercard, American Express, and Bank Wire Transfers.